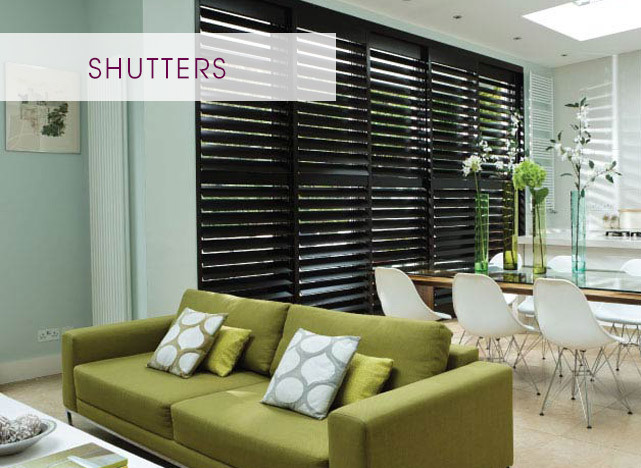 An impressive range of superior quality window shutters, all of which combine stunning design with high levels of functionality. Like blinds, they grant you absolute control of light and privacy and you can simply tilt them to allow light in, or close them to block it out completely. Our window and plantation shutters are made to measure and customised to your bespoke requirements. We have a huge variety of wood finishes available, ensuring something to suit all needs, tastes and budgets. Guaranteed to enhance any room, they add warmth and a touch of luxury to your home, and are the perfect addition to both domestic and commercial properties.